"Congratulations to Teresa Trivett, multi million dollar producer. 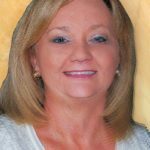 Teresa achieved rank #3 for sales and listings in the Eastern Kentucky area." on Hello world!